Now it won't even have solo. Zing! It's time to shed a few zombie-sized tears for a co-op game that will never be. Ubisoft's ZombiU 2 was alive for all of two months before the plug was pulled. New details have been sniffed out that show co-op was one of the big features planned for the canned follow-up. 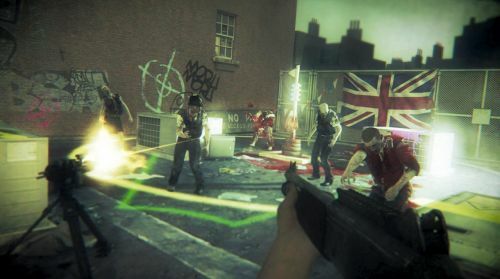 The development team intended on including co-op in the original ZombiU, released as a WiiU exclusive back at the end of 2012. Time constraints pushed the mode onto the chopping block. A sequel was tentatively begun shortly after that would have allowed two players to romp through the infested world side by side, one with the GamePad and one with a Pro Controller. Unfortunately, the first game didn't turn a profit, so the sequel was unceremoniously left by the roadside. The moral of the story is co-op is great and would have helped ZombiU score like a billion sales or something. At least, that's what I'm telling Ubisoft. In the meantime, there are plenty of other co-op zombie games out there that'll fill the void. Page created in 0.5558 seconds.